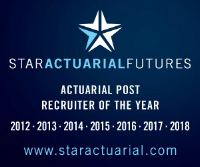 Our client, a leading insurance group, has a fantastic role for a part-qualified, technically-astute GI actuary with knowledge of working with large data sets to lead the integration of telematics pricing in support of day-to-day trading performance targets. Focussing on the telematics motor business and new vehicle technology, you will lead the telematics renewal pricing processes to ensure driving scores are incorporated into customer renewal premiums. You will also work closely with the risk modelling team to ensure consistency, utilising the risk models as the best view of telematics and vehicle technology experience. An innovative and strategic thinker, the successful candidate will be an excellent communicator at all levels and possess well-honed interpersonal and team-building skills. Experience of data mining and other data science related techniques is preferable, as would be knowledge of SAS, EMBlem and/or optimisation software.